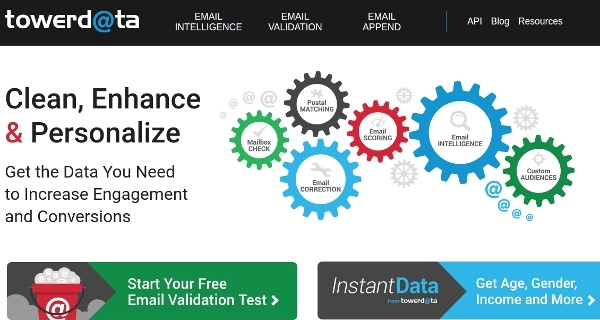 Are you looking for an email checker software to ensure a well-verified email list? There is a huge range of email checker software options today but then not all can be compatible for you. So, how to find out the best email checker software? Not to worry, as the article below offers a glimpse on the most credible email checker software options out there. All of them are easy to download and operate. Read on to know more about these software applications. 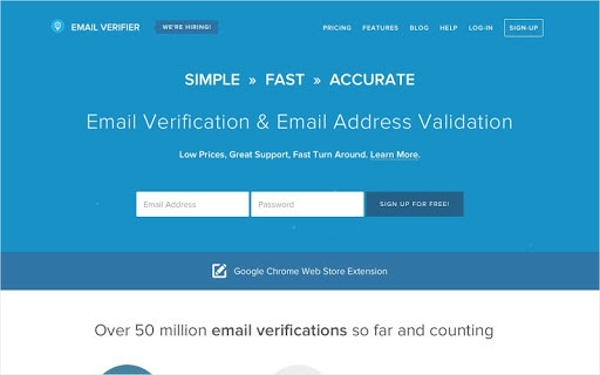 If you are looking for a popular and efficient email verification software, Free Email Verifier would be a great option for you. It can verify the email id format as well s the validity of the domain. Then, it will also check whether the email id given actually exist or not. 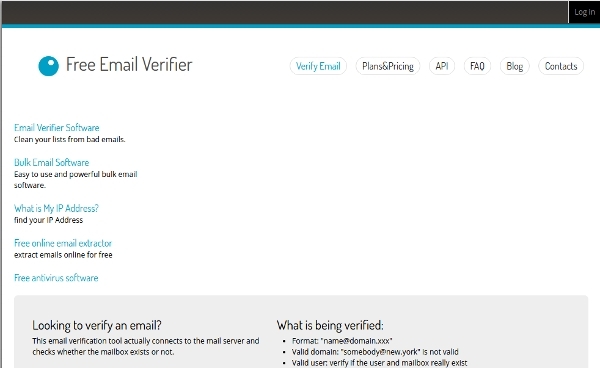 It is another good email checking software application that will verify the invalid domains & email addresses in bulk. You would just have to load the domain or email lists on the software and the application would start its work with syntax checking, followed by domain validation & other real-time tests. Atomic Email Verifier is equipped to remove the non-existent email ids which in turn enhances email servers’ faith is your messages. It will verify the domain, connect to SMTP server & check the existence of email address on it. Moreover, the software will also check the Facebook account pertinent to a specific user’s address. The software assures bulk email verification faster compared to many of its contenders. It uses 3 layers of email address authentication- it starts with syntax check followed by email address checking & finally it will create SMTP connection along with the mail servers to check relevance of chosen email addresses. This email checking software will verify specified bulk email ids against a wide range of various validations- including syntax RFC check to in-depth SMTP test for verification of the existence of user inbox. The software assures a whopping 95 percent email deliverability. The software is free to download. The users will get personalized support with it. 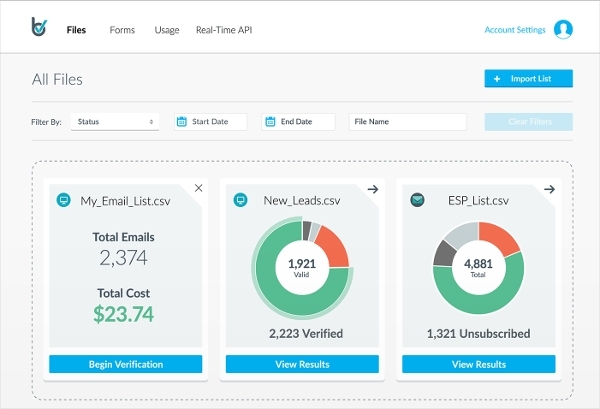 This email verification software will work to verify & check the emails during collection and the user is getting real-time API-based email checking service here. The email list would be validated either in the batches or else would be automated on ad hoc. The software would be great for landing pages & web forms, ecommerce carts, call centers etc. The software here is one of the most powerful email check software applications today that claims to slash the bounce rate of email marketing campaigns by as much as 98 percent. You would just have to drag & drop the email list to the software window. The software will scan your list and start on with the verification. You must know here that there are different email checker software applications for various platforms. The one you choose should match up with your system’s operating system as otherwise it won’t work. There are some software applications that especially work for Windows or Android or Mac but some can work for all the systems too. 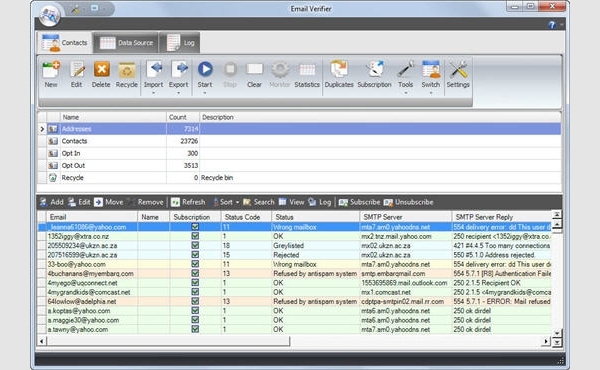 If you are looking for a reliable free Windows email checker software, Smart Email Verifier would be a great option for you. The software efficiently tests validity of a specified email id through scanning of syntax, DNS & SMTP. After conducting an in-depth checking of an email id, the software will also display country name & other details regarding the sender. When it comes to a widely downloaded free Android email checker software, Email Verification is a good option any day. It will check the validity of the email addresses, whether it’s a single one or in bulk, saving you a good lot of time in turn. It’s well-designed and user-friendly. 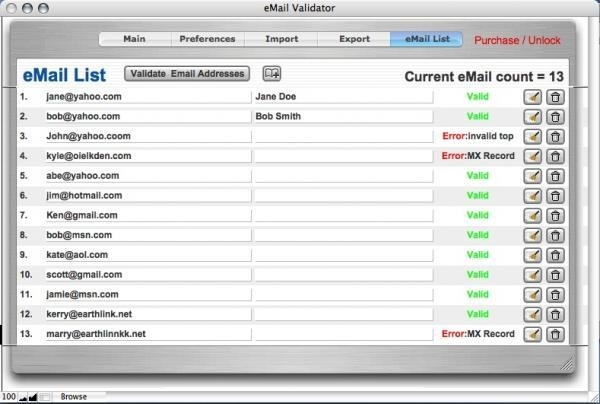 If you are looking for a good Free Mac email checker software, eMail Validator would be a nice option. This powerful software is equipped to check a long list of emails & that too quite fast. It’s easily scalable to hold numerous email addresses and can also clean up client emails & newsletters. When it comes to most popular email checker software for 2016, mention must be made of Email Verifier. The software assures thorough email id check through 3 different layers and also promises complete confidentiality of the user’s mailing list. Moreover, the software permits the user access to the expanded email id statuses. What is email checker software? An email checker software application is a program that is equipped to check the validity of an email id. The best ones in the market take to an in-depth verification of email addresses through scanning of syntax, DNS & SMTP. It is also known as email verification software. Some of these software applications will not only reveal the validity of the email id but also the country & other related details about the sender. Whether you are looking to check one particular email id or a whole list of bulk email addresses, these software applications would work for both. How to install email checker software? When you are to install email checker software, you would have to visit the software’s official website for the download link. Before clicking on the link, check out whether the software matches your system’s OS. Then you can click on the link and after that, you will find complete instructions to install the application on your computer. When you are about to send a mail to an email id, you have to make sure that it’s a valid one. This is especially true for mail campaigners. Now, as the mailing lists expand, you might absorb some redundant and invalid email addresses as well. It is not possible for you to check the validity of each email id on the list by sending emails to all addresses individually. This is where the benefit of email checker software comes in as it would do the hard work of checking the validity of all your email addresses so that you know beforehand who to send the mail and who to not. Email checker software applications assure you a clean mailing list where you can be confident of valid email ids only. This way, you can expect less bounce rate with your email campaigns and a success promotional campaign as well with a higher response and conversion rates. Your basic computing skills would be enough to operate it.